To get the most out of training you need to control time itself. That is exactly what the VADAAR equipped JTAC After Action Review (J/AAR) station does. It gives you the power to be in control. Go back and see every action. Capture your every move. Review the critical decisions. Learn from your past. You want to ensure your training through simulation, so you can be prepared for the challenge ahead. 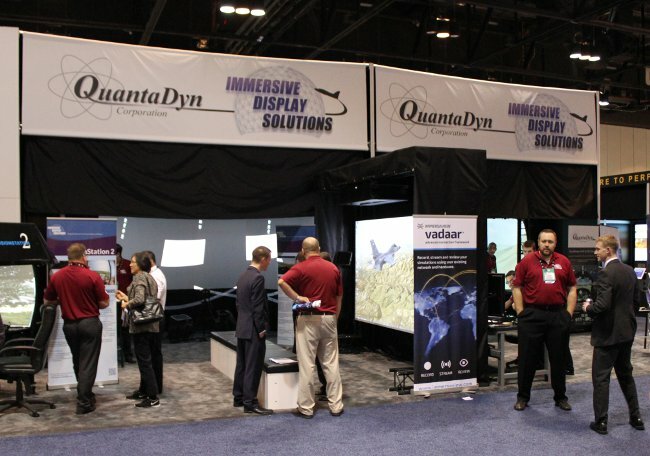 At I/ITSEC 2014 ImmersaView partnered with Immersive Display Solutions to demonstrate the J/AAR for JTAC training. J/AAR featured a stunning 4K display with an instructor’s control tablet. 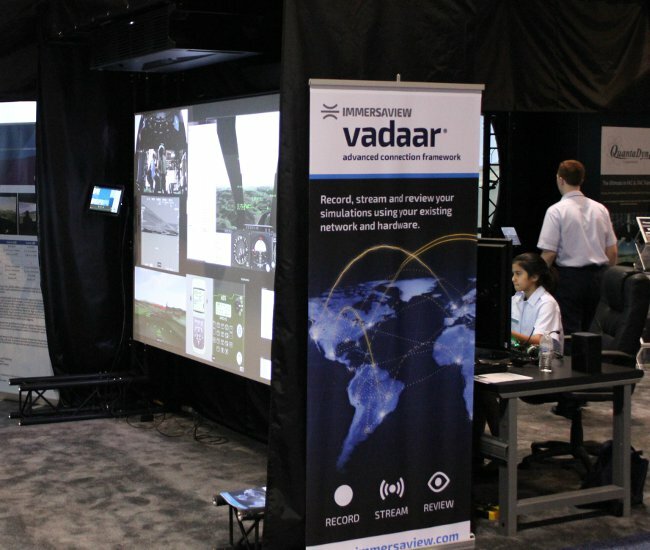 Connected to the J/AAR wa a 4 meter dome, an 8 display instructor station, a 3 meter curved screen, immersive desktop curved displays, and a selection of simulated military equipment. Participants followed through live scenarios and experienced JTAC training live in the dome. Alongside they experienced the instructor operator’s view, the role player’s view, the ROVER, DAGR, and RANGER. All on the J/AAR display in real time. Then, using J/AAR, time was rewound to catch anything that was missed the first time.